ANTHY/LEMAN. Located in a park of 6107 sq. m closed pool and pool house, this exceptional property of 382 sq. 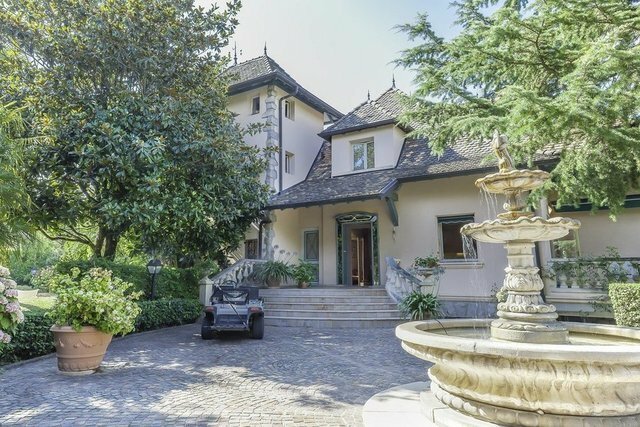 m enjoys a view of Lake Geneva high quality with double reception with fireplace, kitchen and pantry, a beautiful suite parental composed of a dressing double, bathroom and room of water, office and terrace vis-a-vis the lake. The house also has three bedrooms each with a bathroom / water, a laundry room, a games room and a carnotzet. A garage and parking for 10 vehicles and a caretaker's house or guests complete this property. The caretaker's house or guests owns two rooms.